ABC11 is teaming up with Offline to help you avoid average weekends. Stay updated about the best things to do in your city with Offline and ABC11! September is a month of mixed feelings-we've got to kiss summer goodbye, but that means we also get to head straight for fall! Is that pumpkin spice we smell? Bull City essentials: top notch sports with a dash of personality. Enjoy a few hours of American entertainment in the heart of Durham courtesy of the Durham Bulls. Whether you played ball as a kid or not, there's something evocatively nostalgic about a hometown baseball game. From the smells and noises to the traditions and entertainment, baseball has that little bit of magic that just can't be replicated by other live entertainment experiences-and the Bulls offer the best in the area! 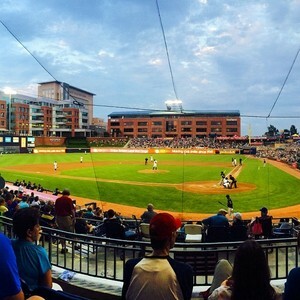 Anchoring the renovated American Tobacco Campus in downtown, the Durham Bulls Athletic Park brings in thousands of energetic fans every season to watch the home team battle. Due to the inimitable location, it's accessible to parking, great restaurants, and great bars. There's also nothing ""minor league"" about the Bulls stadium, except that it will only set you back a few bucks to get your nose in the action. The price of a major league ticket will get you the best seats in the house in Durham. Bull Durham Blues Festival returns to Durham for a weekend's worth of local tunes and crooners, reminding us all that NC's really where it's at when it comes to fine music. Get in touch with your local roots by indulging in a weekend of Piedmont-style blues. New to the area? No time like the present to really get to know it! 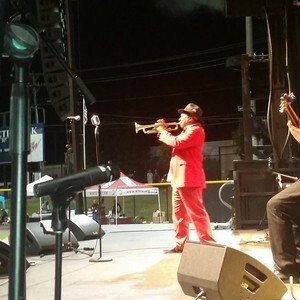 The fact that NC has a bustling music scene comes as no surprise to us, but the 28th Annual Bull Durham Blues Festival will shed a whole new light on what you knew, or thought you knew, about blues. On Saturday the Hayti Center, a beautiful church repurposed into a social, cultural and artistic hub located in the area formally known as "Black Wall Street", opens its stage for a VIP, featuring guitarist and harmonica player Grady Champion, vocalist Jean Carne, drummer and band leader Norman Connors and saxophonist Kim Waters. Note, Saturday isn't free! Ticket prices range from $40 to $50, but all seats in the house guarantee you a killer view of the venue's unique interior and of the band. At this festival, the only thing hotter than the jerk chicken coming off of the grills is the Caribbean sounds coming from the stage. 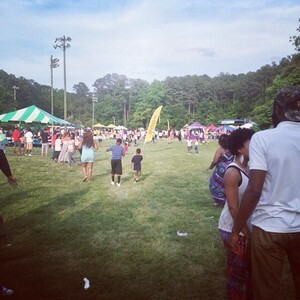 Come for the 5K and stay for all-day, festival fun! CaribSplash is coming at you with a day of Caribbean culture, food and music. Groove to tunes by Jamrock band, Dub addis and Syychronic Sound while you watch chefs from around the country battle for ultimate bragging rights in the Jerk cook off! Oh, and you'll want to bring the kids along for the bouncy houses and face-painters. Feeling competitive? The Jerk Fest is your answer. Kick off the day with the Jerk Fest 5K run (or walk!) then settle in for one feisty domino tournament. If you didn't get enough good eats at the Caribbean food court, maybe you'll want to give the Jerk wing-eating contest a try. Local vendors and entrepreneurs gather together to celebrate the first year anniversary of Move Loot. Expect cute gifts, good vibes and an unforgettable time! "Move Loot, a hip little used furniture business in Raleigh & Durham, turns 1! They're gonna do it big for their birthday and invite all their best friends: Edge of Urge, Carrboro Coffee Roasters, Sangha Teahouse, The Makery and Big Spoon Roasters, plus local artists and artisans will come under one roof for the best dang birthday bash! Come on over to Motorco for a night of local entrepreneur lovin', hang out with the community and take home something rad from the party. With vendors like these, you won't be disappointed! Every year in downtown Durham, 24,000 people, 140 visual artists and over 70 performing acts converge over a two day period. If you love art, music, competition, food or beer, you don't wanna miss it! Take to the streets for NC's biggest and globally-acclaimed vintage motorcycle rally. Bull City Rumble adds a world-renowned rally and the timeless aesthetic of vintage motor vehicles to your Labor Day plans. Starting with a party at the Green Room on Friday, the rumble moves to downtown on Saturday, with a motorcycle breakfast at Parker & Otis at 11a, a bike show in Brightleaf at 1p where you can admire all these retro hunks of metal, and a retro-style burlesque show and after party at Social at 5p. Whether you're looking for a gift or searching for yourself, you're sure to find something fun and funky from vintage vendors and new designers at this monthly art market. The Durham Patchwork Market is back for the spring. What's new? You'll now catch the market on the the first Saturday of the month and you'll find 'em at Fullsteam! 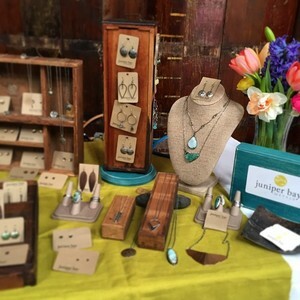 >Check out this video of the awesome makers participating in the market! We've got some good news Durham dwellers! They may call themselves "mini" but they seem pretty mighty to us because this market has all your bases covered: ceramics, jewelry, candles, leather bags, headwear, vintage finds, new designs and more. Check their Facebook to learn more about who will be there and to scope out what goods you'll be walking away with. Museum After Hours presents Science of Beer, where beer savants and science geeks come together and have a grand ole' time. Beer is fine and dandy, but beer science is where the real fun's at! Come to the Museum of Life and Science for a night dedicated to all things beer! Beer tastings, workshops, hands-on experiments and local craft brewers await you-but only if you're over 21! 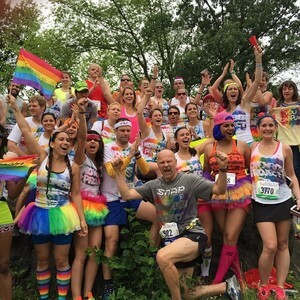 Lace up your sneaks and don your finest rainbowed running gear for this 5K pride run (or walk!) around Duke's East Campus. The 31st annual NC Pride festival is kicking off with a little bit of exercise. Sprinters, walkers and race cheerleaders out there-you are all welcome! Meet at the corner of Main Street and University Drive, and then enjoy a jog around the beautiful Duke University campus. Enjoy live entertainment, view arts and crafts, and chow down at over 40 food trucks! 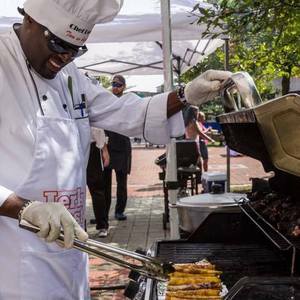 Come hungry to Durham Central Park's Food Truck Extravaganza, you'll surely leave happy! 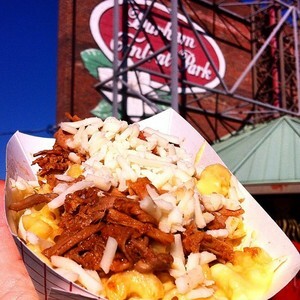 "Durham Central Park's Food Truck Rodeos feature live entertainment and over 40 local food trucks. Plus, this is the Triangle's original food truck rodeo (i.e. the one that started this vehicular cuisine craze). Tasty trucks that have come in the past include: American Meltdown, MaMa Dukes, Pie Pushers, Porchetta, Fosters, Chez Moi Bakery and OnlyBurger. You can always count on being able to get a cold glass of locally brewed beer at the rodeo, and you're allowed to bring (wo)man's best friend-provided that your dog is on a fixed leash. A lot of food trucks accept credit cards, but you might want to bring some cash just in case, as well. We also recommend that you bring a lawn chair or blanket to sit on while you eat-unless you enjoy standing up while you munch, of course. 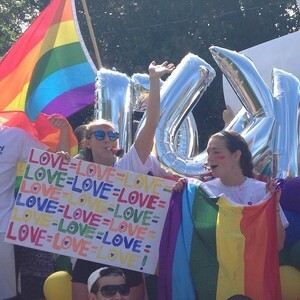 Durham plays host to over 10k supporters and celebrators for NC's largest pride parade. Outfit recommendations: the more colorful, the better! "Pride has a long history in Durham, starting with North Carolina's first Pride parade in 1981. Now the gathering has morphed into the largest pride event in the three-state area, including South Carolina and Tennessee! 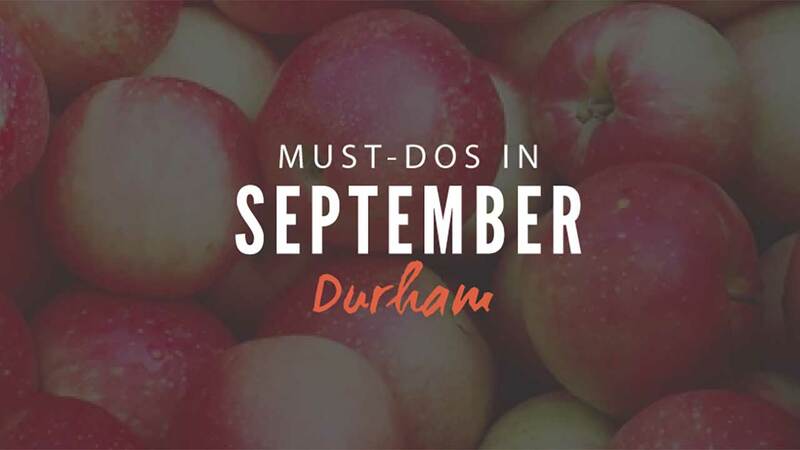 Help the Bros at your fav Durham distillery upgrade their space from 'concrete box of booze' to a swank pad you actually want to spend time in. "The bros behind Brothers Vilgalys Spirits are launching a Kickstarter campaign to help spruce up their space. They're going for less of a concrete box feel and heading in a more plush, good vibes direction. What's the best way to kickoff a Kickstarter? A party, duh. Come out to play some games, snack and drink some damn good drank! Labor Day isn't too early to start celebrating Oktoberfest-it's just a great time to celebrate! New music with an industrial setting? Hell yeah. Get a beer or a dark & stormy in hand and rock on, homie. Motorco's stage is always featuring up-and-coming, local and wild-n-random shows from all genres and backgrounds. Here's the place you're most likely to find your newest musical obsession-but you can also watch other kinds of performances, like story slams, dance performances, group TV show viewings, and burlesque theater! Motorco is a staple in the Durham scene, and for good reason-we see it as the Renaissance man of Durham venues. It's do-it-all attitude makes it a go-to spot if you're looking for good food, good drink or a good time. Parts & Labor covers the eat portion of this mix. They serve a delicious mix of items inspired by global street food. They also serve a small, but solid selection of local and craft beers, as well as cocktails. Every year Motorco brings a bit of Bavaria to Durham with brats, beer, music, dancing, and a mini-parade. Don your lederhosen and bring out das boot! Offline helps you avoid average weekends. Tired of searching for "things to do? Offline's app and website keeps thousands of the Triangle's best events, places, dates ideas and adventures in your pocket at all times.